German Chancellor Angela Merkel held what she called “intensive” discussions with Azerbaijani President Ilham Aliyev in talks that addressed energy cooperation, human rights, and the conflict between Azerbaijan and Armenia over the disputed Nagorno-Karabakh region. 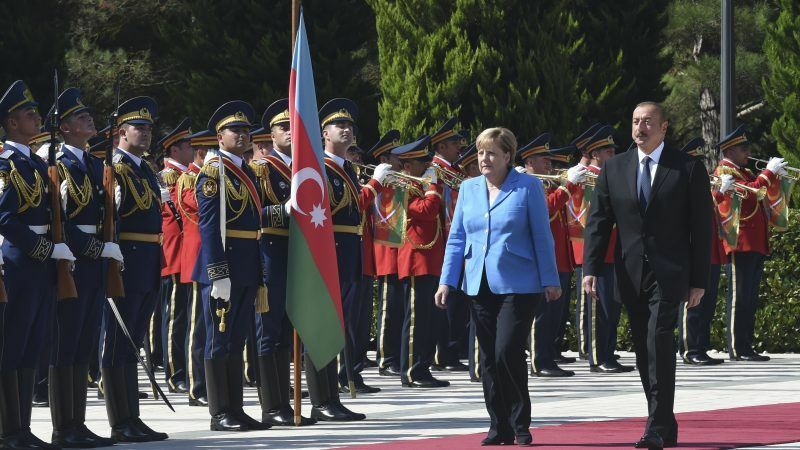 As RFE/RL reported, the meeting between Merkel and Aliyev in the Azerbaijani capital, Baku, on 25 August included a discussion of the human rights situation in the South Caucasus nation that the German chancellor said was conducted in an “open atmosphere”. Critics accuse Aliyev’s government of carrying out a targeted crackdown on dissent in recent years, though the Azerbaijani leader has repeatedly rejected such criticism. 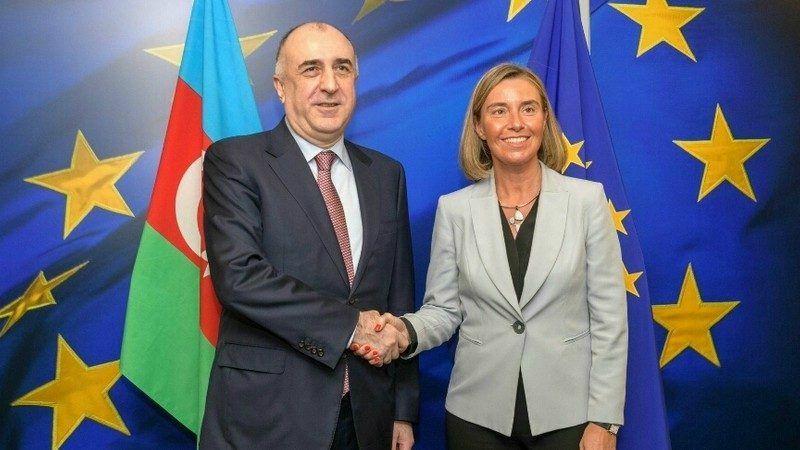 Each time that Azerbaijan hosts a major international event, NGOs specialising in criticising countries attack the nation unfairly, the ambassador of Azerbaijan to Belgium Fuad Isgandarov told EURACTIV in an exclusive interview. “We discussed the issue of the domestic situation in Azerbaijan and addressed human rights, also in a very open atmosphere,” Merkel said, according to a transcript of her press conference with Aliyev released by her office. “We did not find common ground on all issues. But I argued that a strong civil society must be part of an open, secular society and made clear that we would like to see this strong civil society,” Merkel added. Merkel’s stop in Baku on 25 August — the final leg of a three-day tour to South Caucasus that included visits to Georgia and Armenia — also included a meeting with rights activists and the prominent Azerbaijani investigative journalist Khadija Ismayilova, a former RFE/RL contributor. 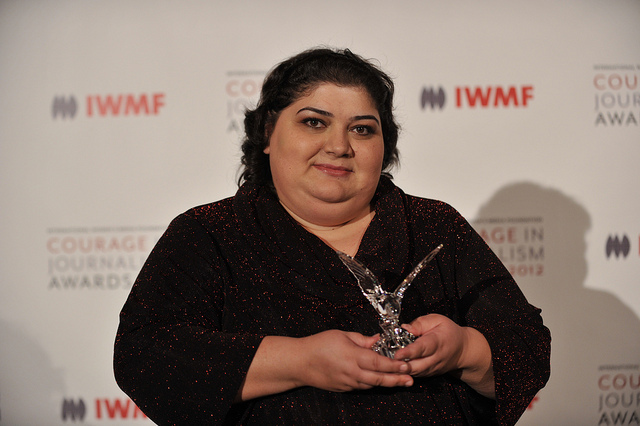 Azerbaijan yesterday (25 May) released jailed investigative journalist Khadija Ismayilova, who was convicted of corruption charges last year, prompting reactions welcoming the country’s move toward press freedom and rule of law. Merkel “said our concerns are important and some have been addressed in the meeting she had with President Aliyev. I hope to hear more from her,” Ismayilova wrote. Azerbaijan’s opposition, as well as Western officials and international human rights groups, have accused Aliyev’s government of persecuting opposition politicians, activists, independent media outlets, and journalists, often using what they allege are trumped-up criminal charges. “All democratic institutions exist in Azerbaijan. All the liberties have been provided, in particular, freedom of speech, freedom of the press. There are hundreds of media outlets in Azerbaijan, including opposition media. Thereby, no one is being persecuted for the criticism [of the authorities] or for the [critical] views in Azerbaijan,” Aliyev said. The two leaders also discussed energy cooperation between Europe and Azerbaijan. Azerbaijan looks set to play a crucial role as it plans to launch the Southern Gas Corridor gas pipeline from the vast Shah Deniz field to Europe. Shah Deniz II is expected to produce 16 billion cubic meters (bcm) of gas a year from 2020, with 10 bcm earmarked for Europe and 6 bcm for Turkey and Georgia. 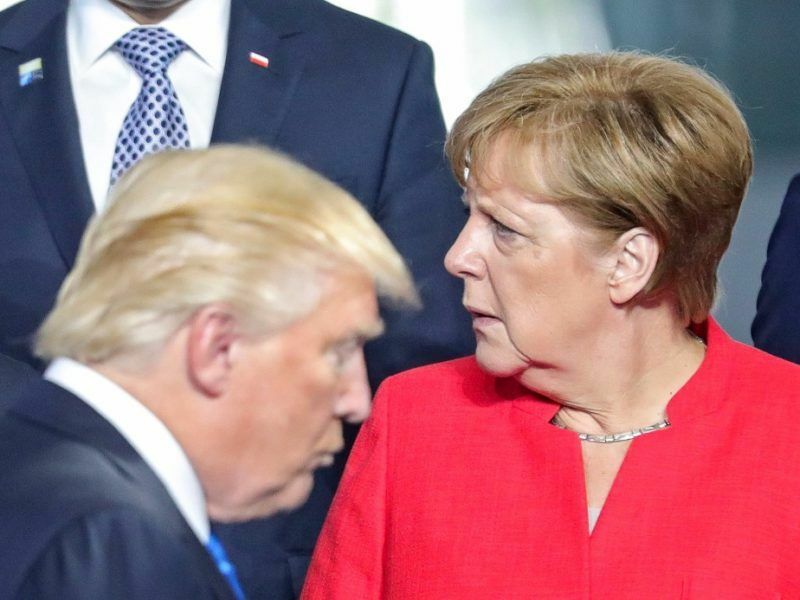 Addressing a business roundtable in Baku on August 25, Merkel described Azerbaijan as “an important partner in the diversification of our energy supply within the European Union,” according to a transcript released by her office. “Germany wants to help find peaceful solutions,” Merkel told reporters, adding that the conflict over the mountainous territory is a significant burden on the region. The region, now populated mainly by ethnic Armenians, declared independence from Azerbaijan amid a 1988-94 war that claimed an estimated 30,000 lives and displaced hundreds of thousands of Azeris. Since 1994, Nagorno-Karabakh has been under the control of ethnic Armenian forces which Baku says include troops supplied by Armenia. The region’s claim to independence has not been recognized by any country. 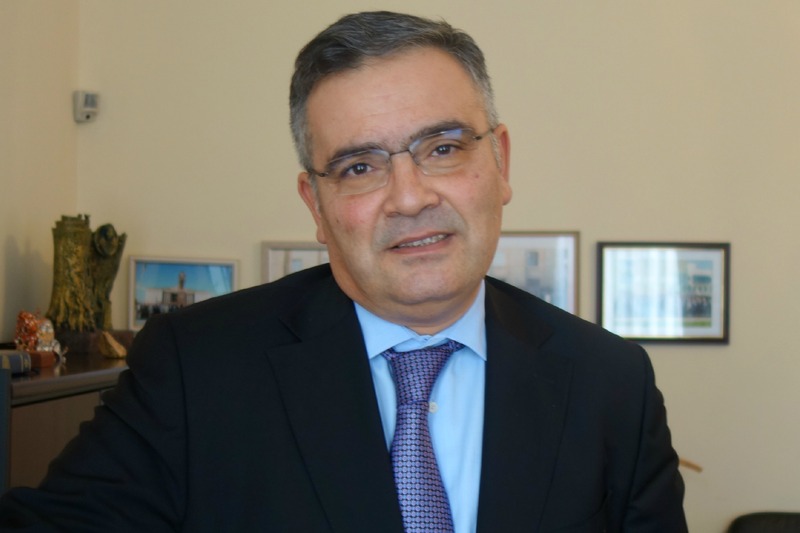 Azerbaijan’s Ambassador to Belgium, Fuad Isgandarov, talks about the current geopolitical tensions with Iran, recent political changes in Armenia, attacks against his country in the international media, the human rights situation and future EU relations. In Yerevan a day earlier, Merkel told reporters that “it is important that the conflict is resolved peacefully” and that Germany “stands ready” to contribute to a solution. In Armenia, Merkel described Ottoman-Era mass killings of Armenians as “heinous crimes against Armenians,” which “cannot and must not be forgotten.” She didn’t use the term “genocide”, apparently sidestepping an escalation of tensions similar to that in June 2016, when Turkey reacted furiously to the resolution, recalling its ambassador in Berlin. After being greeted at Yerevan’s airport by Armenian Prime Minister Nikol Pashinian, Merkel traveled to the Tsitsernakaberd hilltop complex to lay a wreath at the monument dedicated to the World War I-era dead. Armenians say up to 1.5 million people were killed during World War I as the Ottoman Empire was falling apart, a claim supported by many other countries. Germany’s parliament recognized the massacres as genocide in a resolution overwhelmingly adopted in June 2016. It also acknowledged that Germany, then a military ally of Ottoman Turkey, did nothing to stop the killings.